Healthy Face Toner – PH balancing face toner for daily use on face and neck. 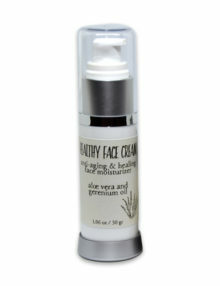 Healthy Face Toner is boosted with aloe vera for its healing, hydrating and soothing properties. 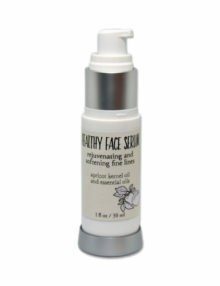 How to use: Apply to face and neck after cleansing using a cotton ball or pad; avoiding the eye area. Repeat with sweeping, outward motion until a fresh cotton ball comes up clean. Follow with a moisturizer or serum. Avoid contact with eyes. Store in a cool, dry place.